Many studies have focused on the sensitivity of echinoderms such as sea urchins to ocean and coastal acidification (OCA), while research on other taxonomic groups of benthic invertebrates is scant to absent. 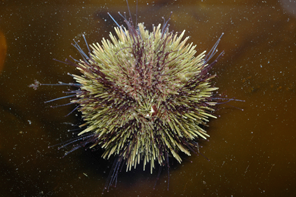 Of the echinoderms, the green sea urchin has received the most attention. While the vast majority of studies have considered only adults, the effects of OCA on the green urchin (Strongylocentrotus droebachiensis) are overwhelmingly negative at all life stages from larvae to adults. Only Dupont et al. (2013) have studied effects of OCA on different life stages and multiple generations of the green sea urchin in the same experiment. They found that when adults are exposed to high CO2, there can be negative effects on their offspring. Likewise, exposure during the larval stage can affect survival of juveniles. This is only one study and linkages between life stages need to be further tested. Among other bottom-dwelling invertebrates, a general trend is that noncalcifying species fare better than calcifying species. 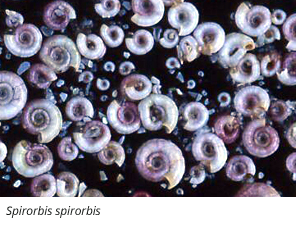 For example, the noncalcifying annelid clam worm Alitta virens was not affected by reduced seawater pH, but annelids that form calcium carbonate tubes (Spirorbis spirorbis and Hydroides spp.) showed negative effects (Ries et al., 2009; Lane et al., 2013; Saderne and Wahl, 2013).